Home Startups startup trends 2010 Roundup & 2011 Predictions. 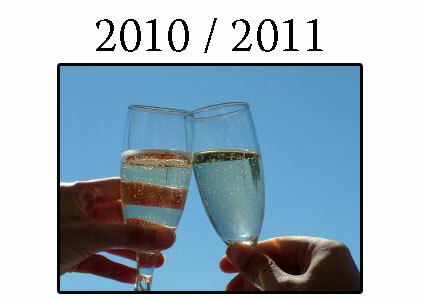 2010 Roundup & 2011 Predictions. Well, 2010 is firmly behind us and thankfully so for most businesses in the broader economy. 2010 certainly had some technology startup sweet hearts last year mainly in the “location check-in” and “local deals” space (Foursquare & Groupon respectively). Groupon had rumors swirling of a $2.5 billion acquisition that lead to a $6 Billion offer from Google with a full out refusal from Groupon. This leads to a 2011 prediction of Groupon either going public or continuing to raise large amounts of private equity. Groupon has scaled as the fastest Internet startup in history which in itself is mind boggling. 2010 was also the year of the tablet led by the Ipad and sending Apple’s market cap whizzing past Microsoft for the first time in history. Speaking of Microsoft, it will continue to trail innovation in 2011 and continue to struggle in the mobile market. If Win 7 mobile didn’t have the Xbox tie-in it may have already died. Next is e-readers, as e-readers and tablets scale to critical mass the price points will converge to affordability and features for both. Although I personally feel there is room in the market for both and I’m still a fan of the black and white “digital ink” patent the Kindle has (more of a book feel). Android and Apple will continue to be clash of the Titans throughout 2011. Facebook valuation will hit nose bleed territory as it also attempts to go public. I remember laughing about the company being valued at $15 Billion back in 2007, I’m not sure I can get use to a $80 Billion or more valuation. The SEC had trouble in 2010 trying to adapt with companies like SecondMarket and SharesPost. This is a story that will continue well into the future. 2011 on a macro business level will be ripe with acquisitions and consumer sentiment will start to rise out of the doldrums (generating income and spending). As house foreclosures lessen and banks write them off the balance sheets the housing market will show it’s first sign of life in four solid years. Jobs will gain close to 3/4 of a percent bringing unemployment between 9 – 9.2% by end of the year. Keep your chin up because 2011 will be the last year for solid deep discount deals. Look forward to an exciting 2011…Stay tuned. I read your post. It is very Interesting. And i am Sure its very Beneficial for me.